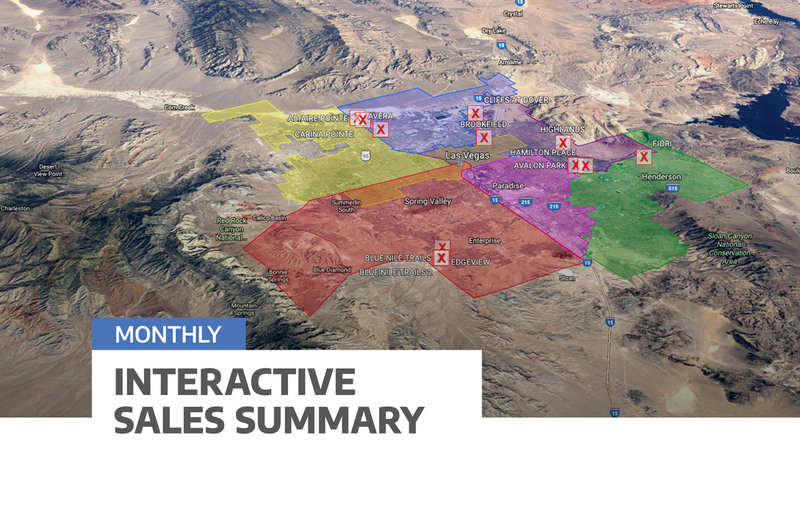 Interactive Sales Summary - Home Builders Research, Inc.
Our Interactive Sales Summaries are taken directly from our Weekly Traffic & Sales Watch report. 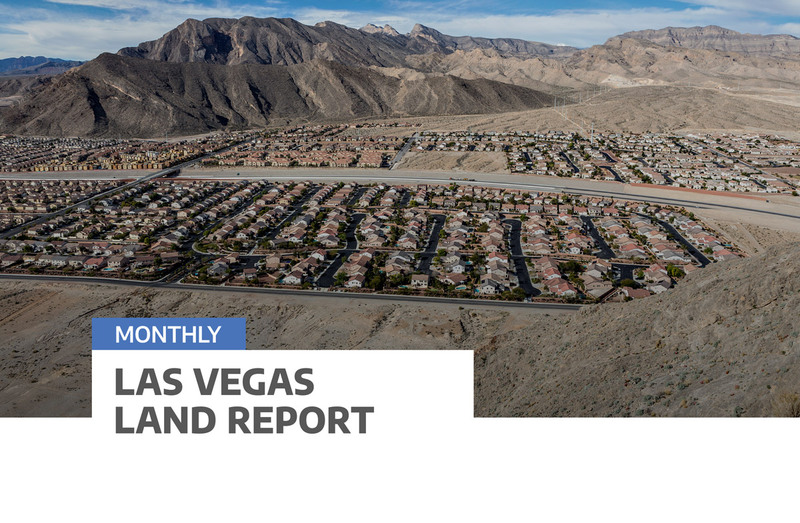 These files provide a geo-coded overview of active new home communities in Clark County. 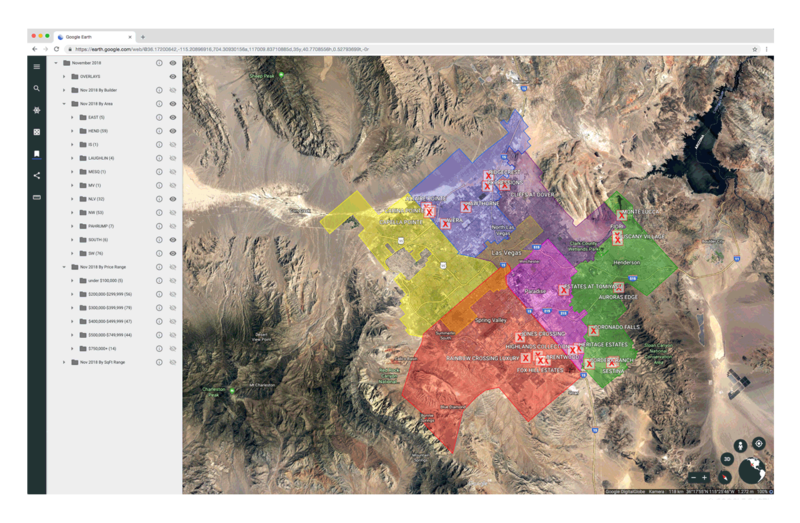 The files are in .kmz format and can be viewed on Google® Maps or Google® Earth as well as other applications. 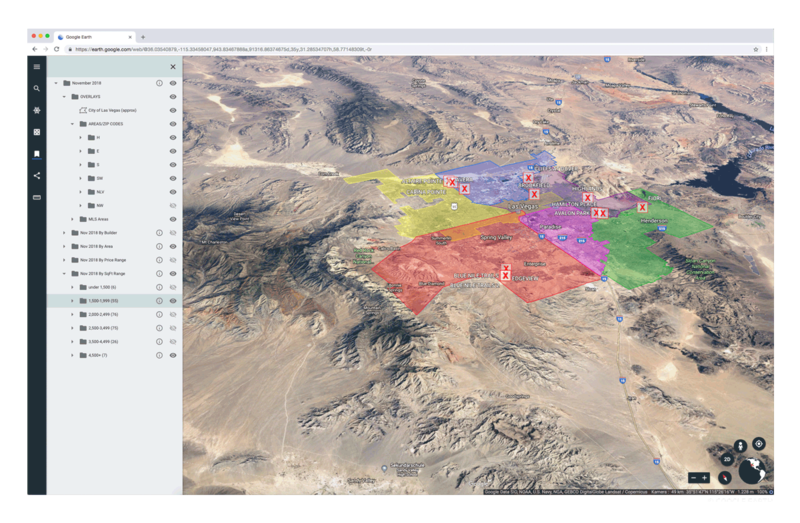 These handy files allow the user to see what new home communities are out there and how they are performing, all on an interactive map. 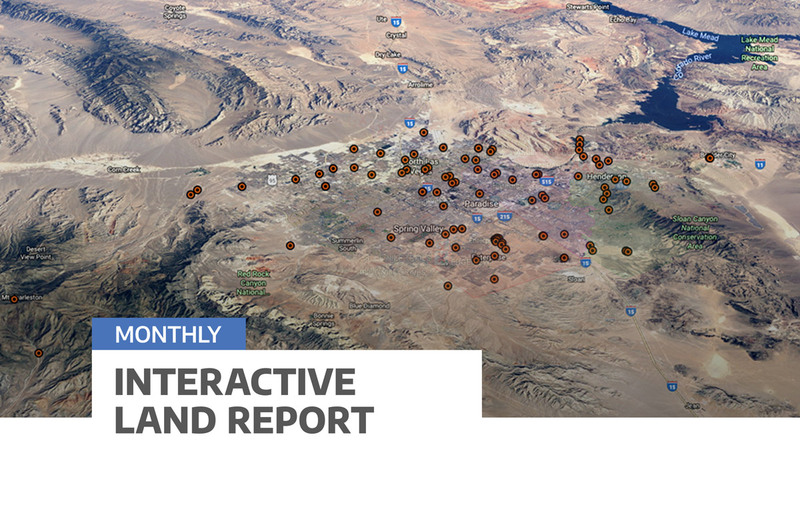 We also offer and interactive version of our Las Vegas Land Report. Each transaction is plotted on the map each month. This allows for the client to easily see all closings data for a certain area over a given period. Call us for a walk through of these handy reports today!